Moving Average is a general name for a group of functions where the values at each point are equal to the average value of the initial function for the previous period. 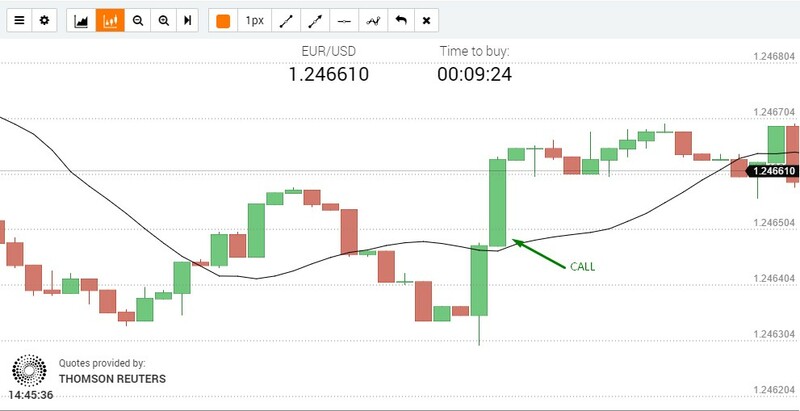 Moving Average is one of the simplest technical analysis tools and one of the most popular indicators among traders of different levels. The price always tends to its average value – the balance point between sellers and buyers. 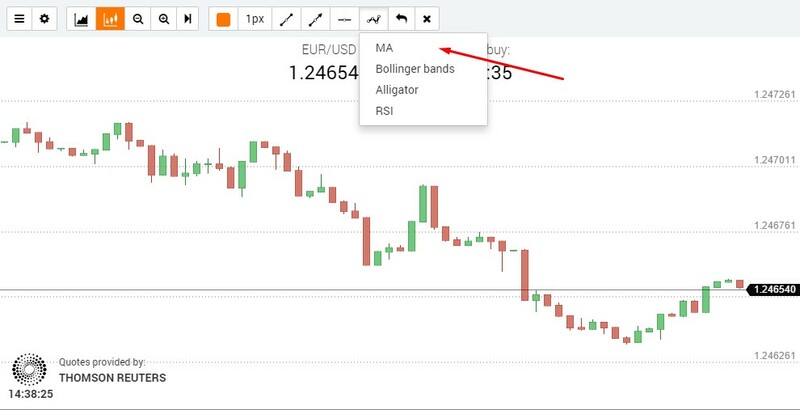 This indicator is the basis for a variety of trading strategies and indicators. 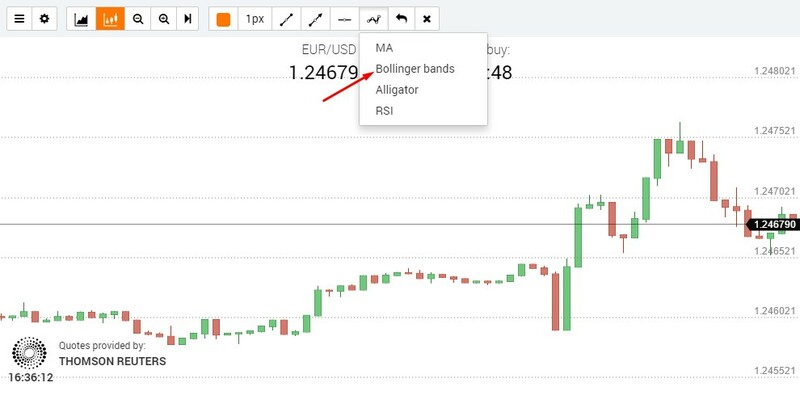 Choose the “Moving Average” (MA) indicator from the list of indicators. Choose the line type – SMA. Without changing the settings, click “Apply”. Breaking the SMA strategy – trading strategy aimed at determining the trend reversal or ending of the flat movement. 1. 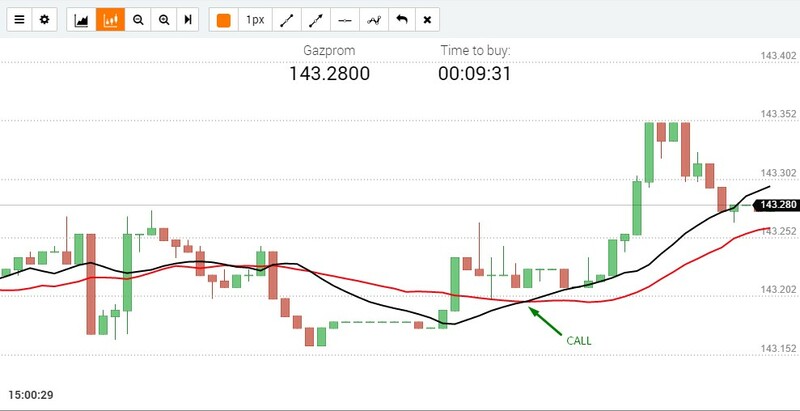 Apply the SMA indicator to the chart. If the candle closes above the MA, this will signal further growth and buying the call option. If the candle closes below the MA, this will signal further fall and buying the put option. 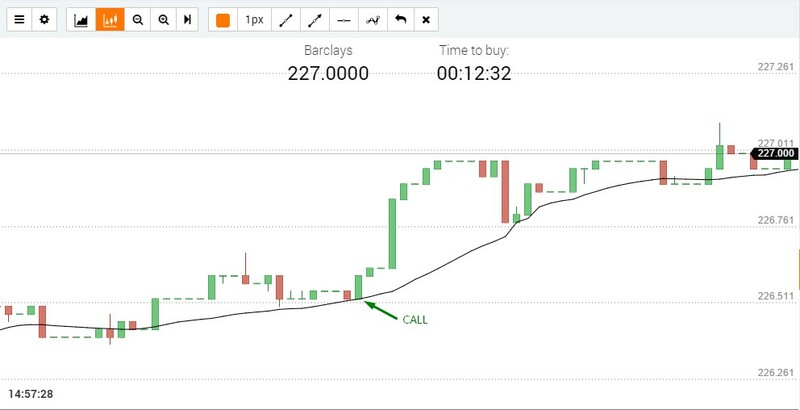 Rebound from the SMA – a trading strategy, which defines the point for returning to the trend corridor or a sideways movement. Apply the SMA indicator to the chart. 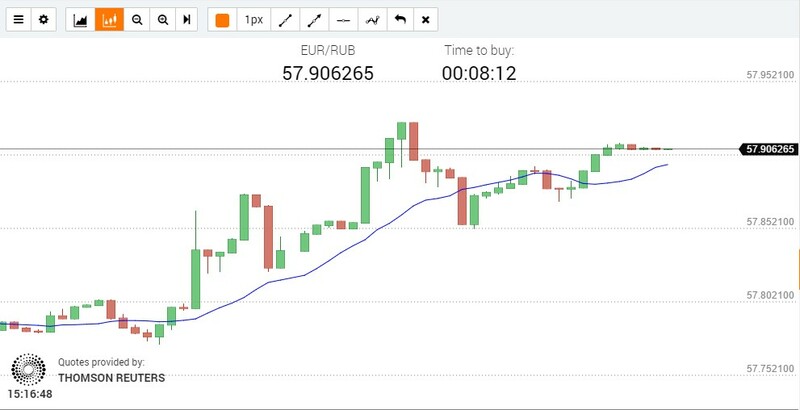 Wait for a moment when the candles indicating the price movement touches the SМА line, while the next candle goes in the opposite direction. Closing the second candle (after the descending, that touched the SМА) above the SМАsignals further growth and buying the call option. Closing the second candle (after the descending , candle that touched the SМА) above the SМА signals further fall and buying the put option. For example, if a short-term MA (14) breaches a long-term MA (26) from the bottom up and holds above the average, this is a signal to open positions considering a up trend. Using the basic characteristics of the MA – defining the trend direction. The MA clearly indicates the trend direction; the steeper the slope is, the stronger the trend is. This strategy can also be applied for building trading strategies. If the MA is moving up, and the price is above the MA, this indicates the uptrend and our target will be to find the entry points on the way up. If the MA moves down, and the price is below the line, this means that the trend is descending, and we should be looking for the entry points and opening the bearish transactions. 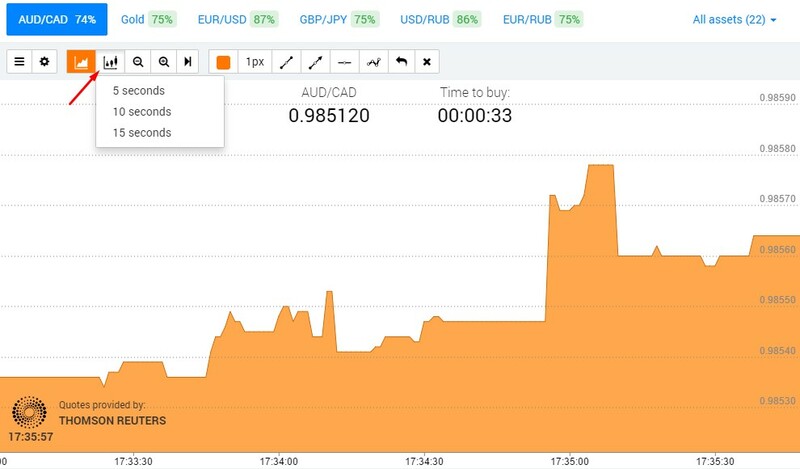 Next articleBinary Option – how to trade?